Where: El Dorado Fair Grounds - main bldg. Please join Soroptimist International of Placerville in sponsoring "A Chocolate Affair" for 2019! Soroptimist International is presenting our Our 21st Year of A Chocolate Affair event on February 9, 2019. We are preparing new and exciting ways to add to the great reputation this event holds in our community. This event continues to raise funds for local educational scholarships, awards and other community service projects. This is a true labor of love for our club and we are looking forward to creating a fun-filled atmosphere for guests to enjoy wine and beer tasting along with samples of delectable bites from local wineries and restaurants. 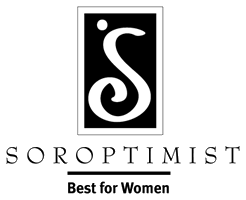 Soroptimist International of Placerville mission: A global volunteer organization working to improve the lives of women and girls through programs leading to social and economic empowerment. Want a chance to travel around the world for $100? 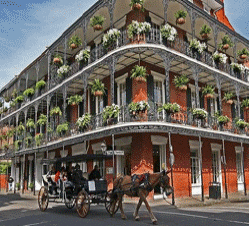 Package Details: Enjoy VIP Seating for two at Preservation Hall. Located in the heart of the French Quarter, Preservation Hall is known the world over as the mainstay of Traditional New Orleans Jazz and home of the Preservation Hall Jazz Band. On the road continuously since 1963, it is the mission of the Preservation Hall Jazz Band to nurture and perpetuate the art form of traditional New Orleans Jazz. Terms and Conditions of Redemption: All travel must be booked a minimum of 60 days in advance. Reservations are subject to availability. All redemption vouchers and certificates should be handled with care as they are the same as cash and non-refundable. Package expires after one year from the date of purchase. Estimated retail value is calculated using tariff air rates and rack room rates. Any airport departure taxes, fees or fuel surcharges, hotel/resort taxes and any room incidentals charges are not included and are the responsibility of the redeemer. Ground transportation is not included. 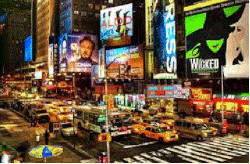 (3) Night stay in 4 star hotel in Times Square or Midtown. Dinner for (2) at a popular upscale restaurant. 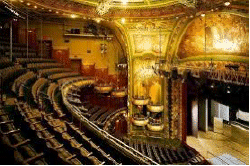 (2) orchestra or front mezzanine seats at choice of current Broadway shows. Economy class airfare, round trip service for (2) from any major metropolitan airport in the 48 contiguous United States to New York. Concierge booking service to assist in scheduling this experience. Package Details: For a night out on the town! Redeemer will receive two orchestra or front mezzanine seats for their choice of current Broadway shows. Dinner at choice of an upscale popular restaurant. 3 nights in hotel and round-trip airfare for 2. Terms & Conditions of Redemption: All travel must be booked a minimum of 60 days in advance. Reservations are subject to availability. All redemption vouchers and certificates should be handled with care as they are the same as cash and non-refundable. Package expires after one year from the date of purchase. Estimated retail value is calculated using tariff air rates and rack room rates. Any airport departure taxes, fees or fuel surcharges, hotel/resort taxes and any room incidentals charges are not included and are the responsibility of the redeemer. Ground transportation is not included. Experience Napa in your own way! This customizable package will allow you to enjoy the things you desire most from this lavish region. 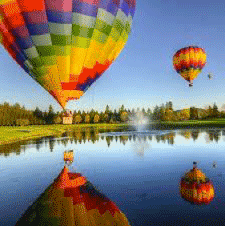 Take a ride on the luxurious Napa Wine Train, see Napa & Sonoma valley from high above in a breathtaking Hot Air Balloon ride, become a sommelier for a day, and even make your own wine! All while touring various wineries of the region and learning the fine art of wine-making. Select from various activities in the region. Guided tour for (2) of 4-6 premium wineries and a picnic lunch. Dinner for (2) at choice of top restaurant. (3) Night, double occupancy stay in Hyatt Vineyard Creek Hotel and Spa, the Fairmont Sonoma Mission Inn and Spa, or similar 4 star Resort. Concierge booking service to assist in arranging this luxurious experience. Terms & Conditions of Redemption: Must be booked a minimum of 60 days in advance. Reservations are subject to availability. Redemption vouchers certificates should be handled with care as they are the same as cash and non-refundable. Package expires after one year from the date of purchase. Estimated retail value is calculated using tariff and rack room rates. Ground transportation, Hotel/Resort taxes and any room incidentals charges are not included and are the responsibility of the redeemer. Airfare: Any airport departure taxes, fees or fuel surcharges are not included and are the responsibility of the redeemer. Business and First Class upgrades are available at the time of booking for an additional fee. Use of frequent flyer miles for upgrades is dependent on specific ticket restrictions as determined by the airline's frequent flyer program. Concierge Service: E.L.S.A Global provides a top team of knowledgeable travel professionals who will assist in booking all of your travel related details and reservations. Operating as a full travel concierge service, they can include any extra hotel nights, airfare upgrades, additional guests, or activities desired. Paris is one of the world's foremost centers of culture. Situated on the river Seine, Paris is a beautiful, cosmopolitan city whose influence on politics, education, entertainment, fashion, and the arts is felt worldwide. Innumerable monuments built to reflect the glory of France and its rulers stand testament to the city's rich history and have led Paris to be the world's most popular tourist destination. Famous sites and landmarks include the Eiffel Tower, Louvre, Arc de Triomphe. 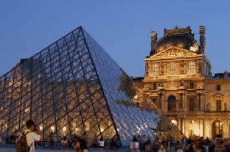 Enjoy a 6 Day Paris Museum Pass which provides free entry to over 60 museums and monuments in and around Paris. Terms & Conditions of Redemption: Must be booked a minimum of 60 days in advance. Reservations are subject to availability. Redemption vouchers certificates should be handled with care as they are the same as cash and non-refundable. Package expires after one year from the date of purchase. Estimated retail value is calculated using rack room rates. Ground transportation, Hotel/Resort taxes and any room incidentals charges are not included and are the responsibility of the redeemer. An ocean front collection of luxury resorts! Located in five stunning destinations along the most beautiful beaches in Mexico, where everything has been created for happiness! Enjoy luxurious accommodations, endless pools, world-class restaurants, activities for all ages, and a staff that caters to your every need. 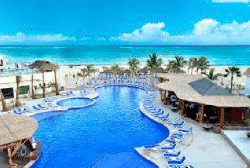 Enjoy a vacation filled with fun, relaxation, and the very best service in Mexico. With multiple destinations offering distinctly unique and beautiful locales to experience, every trip can offer new exciting ways to vacation with the same comfortable and friendly atmosphere. Terms & Conditions of Redemption: Should be booked a minimum of 60 days in advance. Reservations are subject to availability. Redemption vouchers certificates should be handled with care as they are the same as cash and non-refundable. Package expires after one year from the date of purchase. Estimated retail value is calculated using rack room rates. Ground transportation, Resort taxes, fees and any room incidentals charges are not included and are the responsibility of the redeemer. *Nuevo Vallarta and Cancun-Riviera Maya locations include one-way transportation from the arriving airport to the resort.